Powerline does the "week in pictures" every week, it is always good, but this week was especially good. A couple really fit here. Over at the Washington Examiner, it was summed up as follows with a Baseball analogy that I really like. Yes Hillary Clinton got more votes than Trump, the bulk of which are located in two states, but that is not how you win. In the 1960 World Series the New York Yankees scored 55 runs to the Pittsburgh Pirates 27; out-hit them as well .328 verses .256, but the Pirates won when it counted and all those superior numbers meant nothing. In short, you win by the rules of the game, not by the rules of your bias. The media miss the things that matter to voters like how Trump thanks his voters verses Clinton's thank you; he holds rallies in the very regions that provided him with a win, while Hillary thanks the big dollar donors in Manhattan. The end of the Constitution, the Separation of Powers and the Rule of Law all fit in that highlighted line. 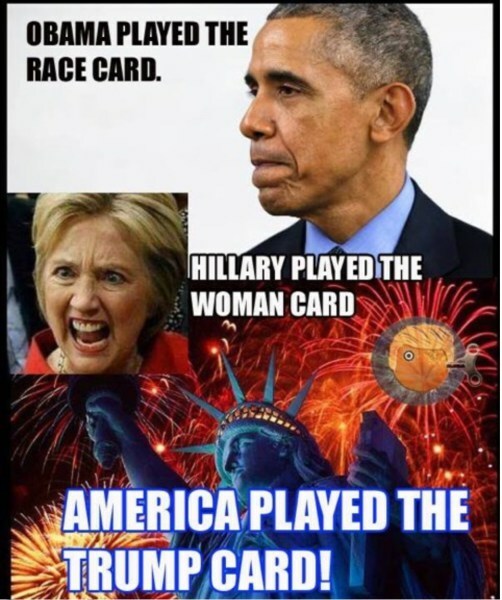 The left wants to create a world based on their biases by total destruction of what was once America -- they are at least well on their way, if not already successful, but they hit a solid bump int he road named Trump. This analogy for rules vs "something we just thought would be a good way to call a loss a win" is good as well. 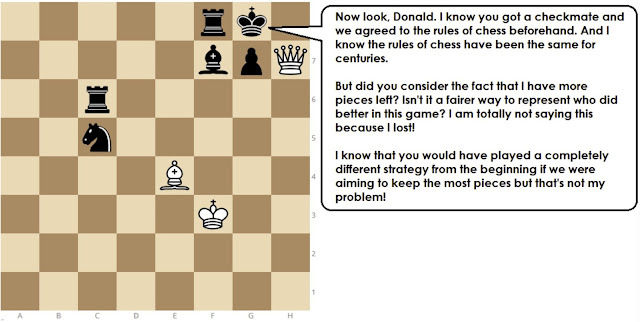 In general, I think Trump played this election with 3 dimensional chess strategy while Hillary played it with Tic-Tac-Toe level strategy.